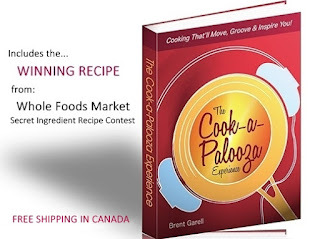 The Cook-a-Palooza Experience: 5 Holiday Gift Ideas for Food Lovers Who Cook! 5 Holiday Gift Ideas for Food Lovers Who Cook! 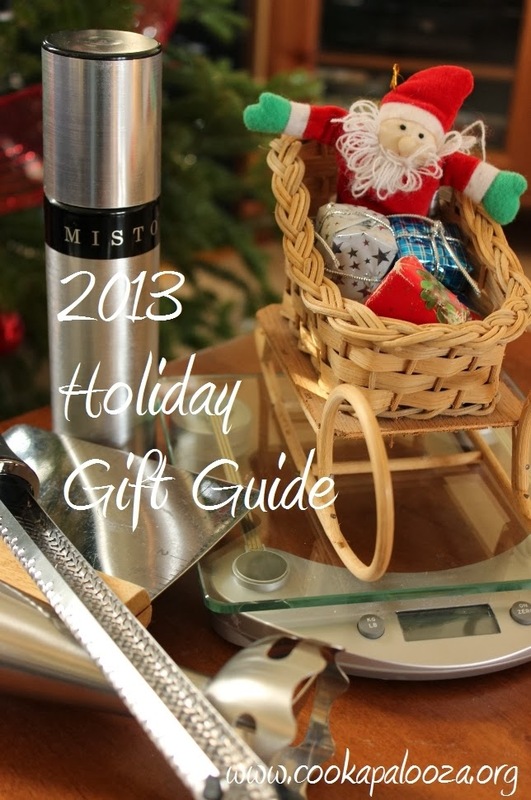 Need some ideas about what to buy a family member or friend on your list who enjoys cooking? Well you're in luck because I have 5 great cooking gift ideas for you that can be purchased without having to visit a busy shopping mall. I own all these items and use them on a regular basis in my own kitchen. In fact I received a few of them as Christmas gifts in the past. And I'm happy I did because I never realized their full potential until I started cooking with them! When a recipe calls for an ingredient by weight (such as dry pasta) an Electronic Kitchen Scale ($19.99; amazon.ca) provides the exact amount you need without having to guess. It also comes in handy when I buy larger quantities of ground meat and want to portion it into 1 lb. bags for freezing. Also good for weighing food when following a weight loss or nutritional program. 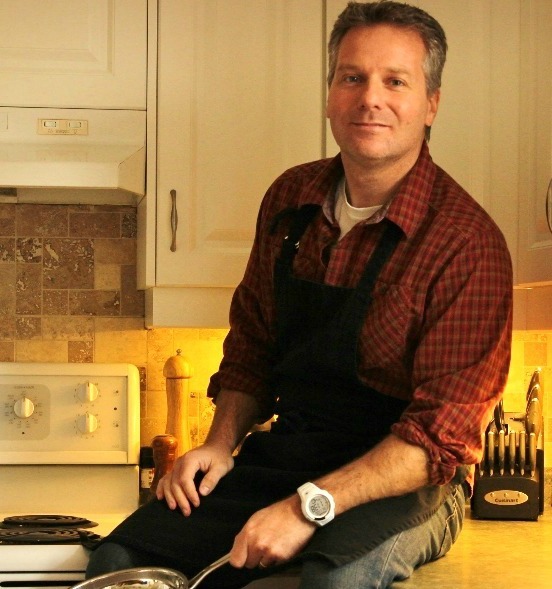 When I first saw a celebrity chef use a Microplane Zester ($22.49; amazon.ca) I wanted one! Eventually I purchased one in Portland Oregon at a great store called Kitchen Kaboodle. I use it most often to grate frozen ginger into sauces (and my morning tea). Of course it also great for zesting oranges, lemons and limes. I love it because it’s more convenient than using a box grater and stores easily. Plus it feels so darn professional using it! I received a Misto Oil Sprayer ($22.99; amazon.ca) for Christmas two years ago and didn’t use it for the longest time. Then one day I read the ingredients on a can of cooking spray. One ingredient listed was propane (not kidding). That was a deal changer. I filled my oil sprayer that day and have been using it ever since for spraying muffin pans and baking sheets. My introduction to the many uses of a Dough Scraper ($11.99; amazon.ca) occurred while at a cooking class. I remember watching the lady doing the demonstration use it to shuttle vegetables from cutting board to pot. And she did it in one scoop! I must have mentioned this to a family member because soon after I received one as a Christmas gift. This simple tool can easily replace 10 cooking gadgets. Use it to shuttle cut vegetables, press meatballs into perfect patties, cut pastry, clear a cutting board of sticky food, cut brownies, smash garlic, cut soft cheese, scrape burned food off baking sheets and pans or level a cup of flour. I purchased my first stick blender (a plastic version) for making smoothies. Then I realized it was far more versatile than that. Now I use it to puree soups and sauces without having to use (or clean) a full size blender or food processor. I prefer the stainless steel version because I feel safer putting it into hot soups (rather than plastic). What I like about the Cusinart's Hand Blender ($47.98; amazon.ca) is it comes with a chopper which is great for chopping nuts or making fresh bread crumbs. Of course the cook on your list will want to put their new cooking tools to use right away, so they'll also need a "COOKBOOK" filled with amazing recipes to try = )! HAPPY HOLIDAYS!